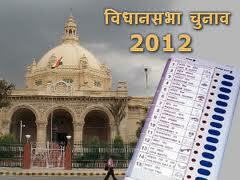 Uttar Pradesh(UP) Assembly Election 2012 winner prediction is hard as scenario is changed a lot during last five year. The main political parties in the state, BSP (Bahujan Samaj Party), SP (Samajwadi Party), BJP (Bharatiya Janata Party), Congress and RLD (Rashtriya Lok Dal) are gearing up withe all the resources to garner as many seats as possible. Uttar APradesh has 403 Assembly seats. The BSP has won the last elections held in 2007 with a thumping majority of 206 seats and captured the power on its own. There have been so may changes in the political landscape of Uttar Pradesh since then. The Mayavathi Government has been accused of so many land scams, corruption and deteriorating security for women. The Rahul Gandhi factor, which failed to create impact in the 2007 Assembly elections is being put for test again in the coming elections. Our take is still for BSP in UP election 2012 during to lack of a clear opposition party in UP. just go back for 5 years n see the law n order situation in UP ,it was a GOONDA RAJ .but now UP is a out of that brand n itz now a PROGRESSIVE STATE . ul see THE ELEPHANT marching with CONFIDENCE ,PRIDE N DIGNITY .TOMORROW IS OURS.